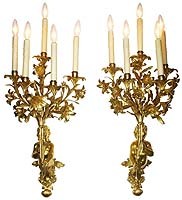 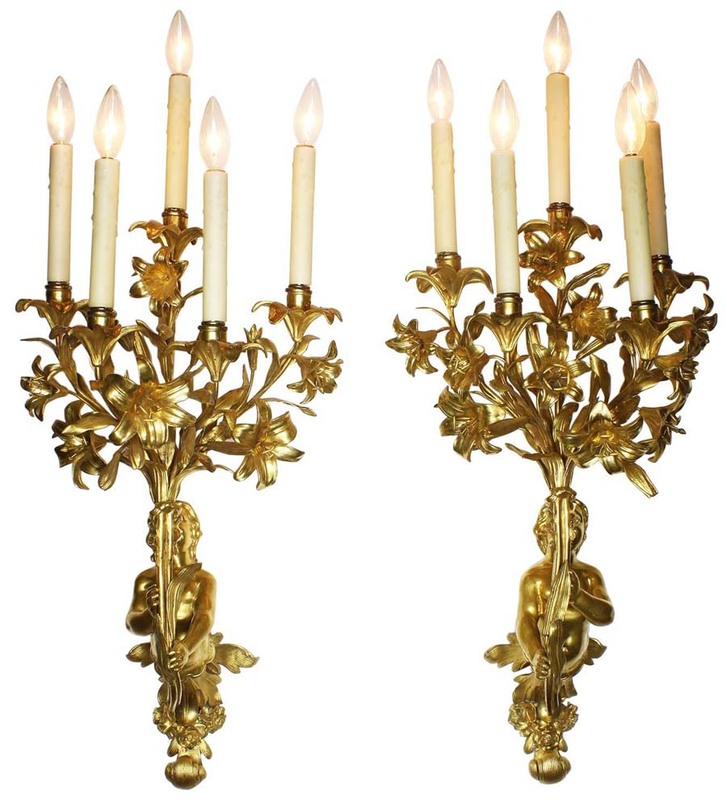 A Very Fine and Charming Pair of French 19th Century Neoclassical Style Figural Gilt-Bronze Five-Light Wall Sconces. 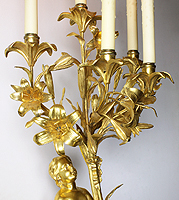 Each wall light depicting a Putto with his torso leaning forward and holding holding on an ornate floral candelabrum (Now electrified). 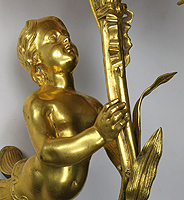 Circa: Paris, 1870-1880.